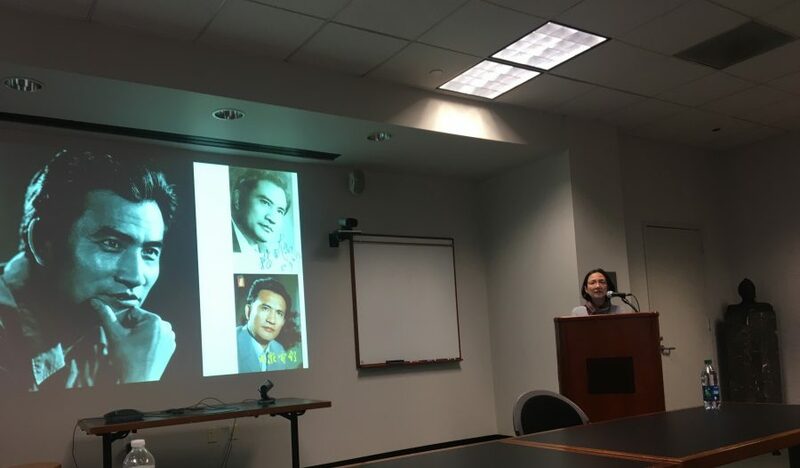 On Tuesday, October 25 2016, Vicente L. Rafael, a professor of History and Southeast Asian Studies at the University of Washington in Seattle, graced Yolanda Martinez-San Miguel’s Comparative Literature graduate seminar, Introduction to Literary Theory: From World Literature to Pluriversality, with his visit to discuss his latest book, Motherless Tongues: The Insurgency of Language amid Wars of Translation, published by Duke University Press this year. The conversation took place in the Comp Lit Seminar Room. Yolanda opened the floor with an introduction of the guest, his intellectual project, and a question of how the book came into being. 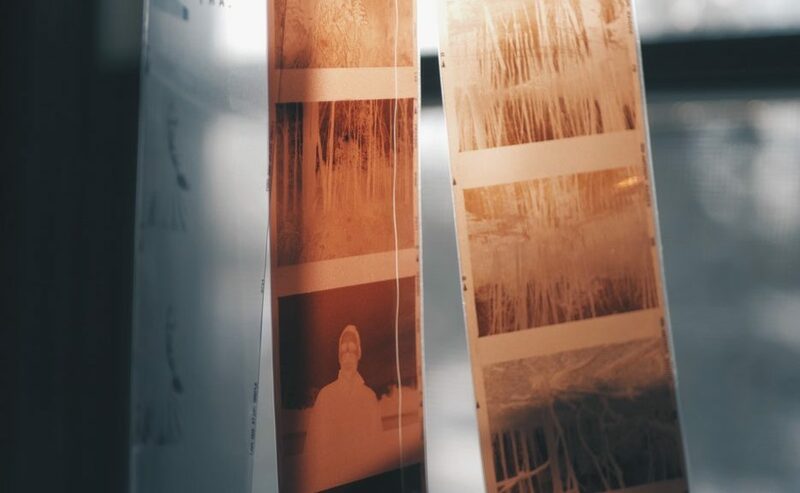 Rafael explained that the book was rather accidental, unlike his previous book projects, which were well conceived as a unified project and followed through as such. By this he meant that the book was a product of series writing for lectures and invitations. Moreover, it was a product of several years of involvement with Translation Studies. 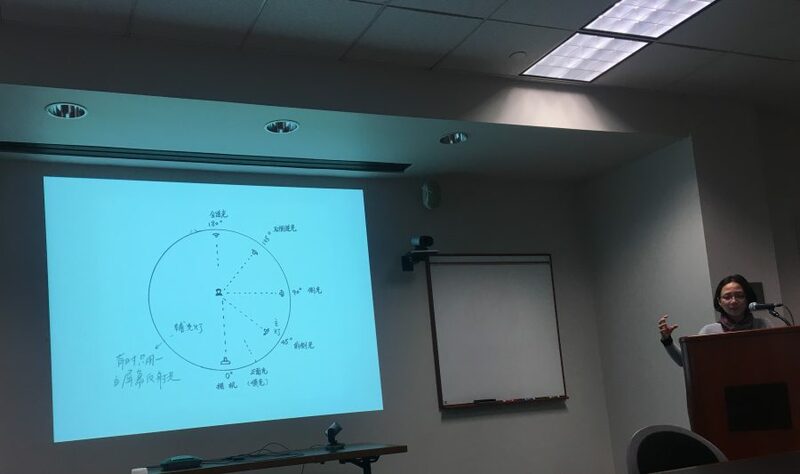 He talked enthusiastically about how his involvement with the Nida Institute and the Summer Institute of Linguistics had been instrumental in his intellectual project in Translation Studies. He provided a general background on the complicated linguistic and cultural context of the Philippines, which he explained as a plurilingual world. Of importance is the historical “fact” that there was no monumental culture (as opposed to the situation of China or India) in the Philippines, until the arrival of the missionaries and colonialism–of course multiple colonialities–that produced an environment of political instability, economic dependency, lack of ideology or, ironically, excess of ideologies, and identitarian undecidability as an existential condition, which should not be seen as a mark of shame but as a critical resource to draw on. With the background provided, the stage was set for students in the class to engage him with questions. The conversation glided from the concept of the accidental, the uncanny, and the repressed in the context of language, translation, and identity as central themes of the book; the notion of the literary and the gift of language with its force in his writing style; the issues of language and power relations, and the status of slang as a subversive language belonging to no one, yet available to everyone; the question of translation, conquest/war, untranslatability, and machine translation; the hegemonic status of English, the “wildness” of accent, and the semiotic power of sonic monstrosity; translation and the practice of self writing; language, memory, code switching, and creolization; to the idea of mistranslation as a structural necessity, the condition for the possibility of translation, as well as its continuity and change in different contexts. 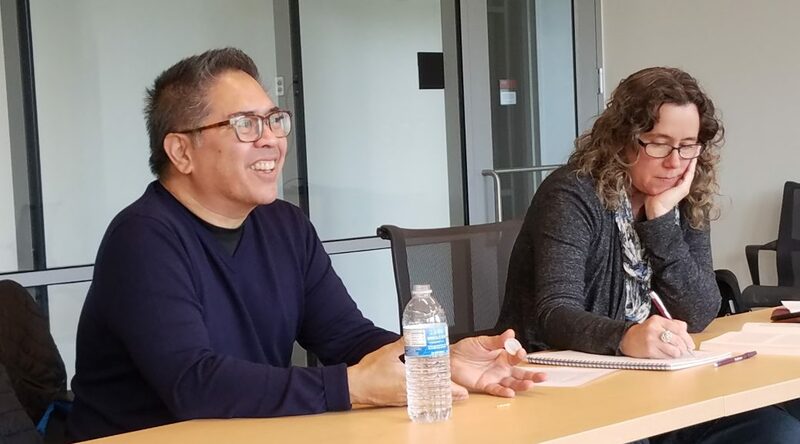 The conversation vigorously benefitted from putting Rafael’s ideas in critical conversation with the work of other scholars in Translation Studies and Comparative Literature, especially with the work of Emily Apter. 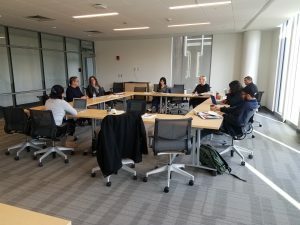 The conversation, colored with wide-ranging ideas that drew on the diverse interests of the students, began at 2:00 pm and ended at 5:00 pm. Everyone working on the politics of language and translation will find Rafael’s Motherless Tongues a very useful resource. And the fact that it presents powerful arguments crafted in a beautiful language also makes it an enjoyable read! 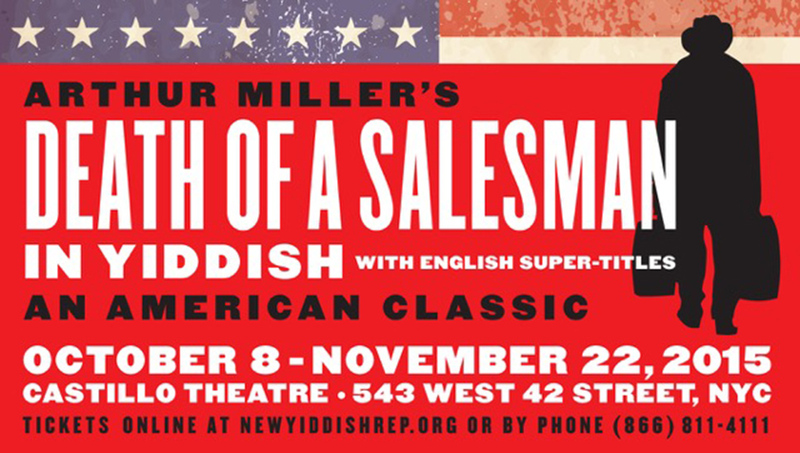 The second production discussed was Arthur Miller’s Death of a Salesman translated into Yiddish, with English super-titles in the background, by New Yiddish Rep. The company’s goal is to resist the disappearance of East European Yiddish theater. According to Shandler, their operation is vertical, since it is meant to recuperate a lost tradition from historical oblivion. At the same time it performs Yiddishness for a contemporary, often non-Yiddish-speaking audience (hence the necessity of English super-titles). Shandler defined the mode of this play “post-vernacular,” and discussed how the choice of performing it in Yiddish is a claim, on the part of the company, about the importance of language and ethnic performance over plot and content. 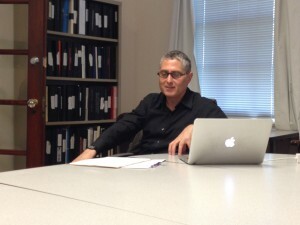 In conclusion, Shandler remarked how both plays flaw conventions of performing ethnicity and “seek to stimulate artistic and socio-cultural change.” The talk was followed by a discussion about other productions addressing related issues and potential areas of developments for this very promising project.